We are in the midst of the third revolution within the knowledge economy, the beginning of the On-Demand Economy, and it is drastically transforming how we transact with all aspects of the marketplace. 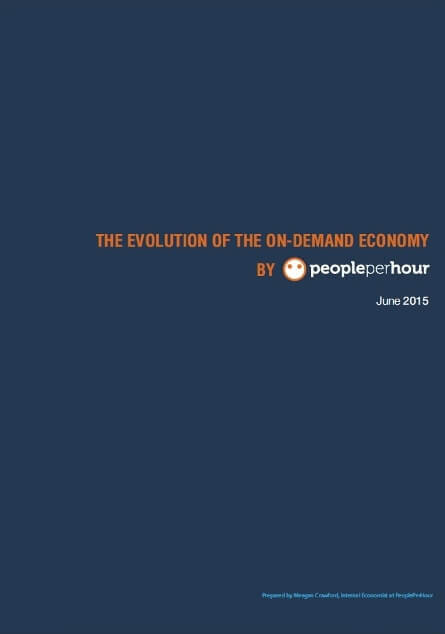 The On-Demand Economy is revolutionizing the way in which individuals manage their daily lives, and interact with the labour market, but we are only just now experiencing the very beginning, by unlocking the potential of this new order. The On-Demand Economy will see exponential growth as a new wave of Millennial’s and Generation X - join the early adopters in this digital marketplace. This new paradigm shift is analogous to the advent of the Internet, where our needs and desires become instantly attainable through speed and convenience of fulfillment. Just as the Internet in the late 1990s revolutionized how we acquire knowledge, as Ray Kurzweil famously stated: "A kid in Africa has more technology at his disposal than the president of the United States did 15 years ago." These new technology driven marketplaces don’t merely enable or facilitate new processes of production, delivery or organization; they are fundamentally, redefining industry size, scope and participation. We are only now beginning to observe how these digital marketplaces have the capacity to increase the pool of potential services providers and sellers by leveraging networked technology to change how participants engage in a specific transaction. For instance, the necessity of brick and mortar shops is in effect becoming obsolete; individuals can now setup shops and sell goods to a global customer base via marketplaces like eBay, Amazon and Etsy with minimal capital outlay.